Antarctica is a place where lawyers and PHD scientists will wash dishes and buss tables for the opportunity to spend a season observing polar wildlife and weather phenomenon. Isolated for six months of duty, these trained observers experience darkness, brutal cold, and Earth changing occurrences. The romance of Deb and Keller is dependent on coinciding missions and their shared passion for the emperor and Adelie penguin populations. 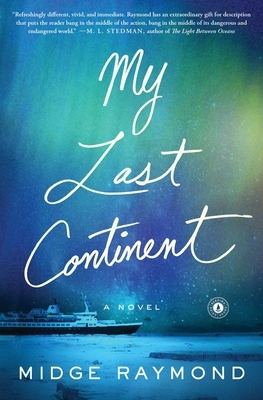 "My Last Continent is a harrowing, searching novel of love and loss in one of the most remote places in the world, a land of harsh beauty where even the smallest missteps have tragic consequences."